Beverly Hills also is easy to play as it has the standard layout of five reels and three rows, just like most other online slots. Seeing as there are 243 ways to win, there are no pay lines. Because of the absence of pay lines, you cannot alter your chances of winning. You can, of course, still determine the height of your wager. You can do this by altering the coin value on the left-hand side of the spin button. There also is a wild symbol on this slot which can substitute for any symbol except for the scatter. The scatter might just be the most interesting symbol on this slot, as it leads to free spins. The release date of the hit series Beverly Hills 90210 was quite a while ago to most people, however, there still are many people who start feeling nostalgic when reminiscing about the tv-series. 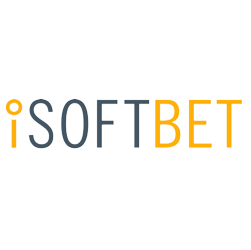 iSoftbet has filled this gap in the market by releasing the slot Beverly Hills. This game is jam-packed with characters from the show but, unfortunately, also has standard symbols. There are various kinds of free spins and the 243 ways to win, making it an easy-to-play slot for most players. How to play Beverly Hills? In order to be awarded free spins on Beverly Hills, you need the scatter to land on your reels in, at least, three-fold. When three scatters land on your reels, you get eight free spins. For four scatters you receive 15 free spins, and for five scatters you get 25 free spins. There are two kinds of free spins. During the girls’ free spins, you have five symbols which might turn into random wilds. During the boys’ free spins, there is a maximum of three entire reels turning wild. It’s hard to tell which one of the free spins are the most appealing, as both can turn out to be rather lucrative. During free spins, one should aim to win as many extra free spins as possible. However, just like on most other slots, that’s harder it sounds. Beverly Hills does not have pay lines as it has ways to win. This means that there are no specific lines winning combination have to be formed on. Rather, matching symbols just need to land on three adjacent reels starting from the first turning wheel. This system makes it very easy to keep track of possible wins being formed. Unfortunately, this slot does not have a jackpot, which would have been a great way to give it a nice finish. At the bottom of the screen, you can also find the autoplay function, which functions like any other on iSoftbet games. That is, you can only turn it on and off. This means that you cannot pre-set a certain number of automated spins after which the autoplay function turns itself off again. However, the automated spins do stop when you reach free spins.